You will be picked by our guide from your accommodation facilities after having a heavy morning breakfast and drive to Queen through Kampala- Mubendde route with a beautiful view of the country side and having a glance at the tea plantations with a stopover at Fort Portal for lunch. Queen Elizabeth National park is located in the western end of the country and boosts of the Kazinga channel with harbors over 600 bird species, with banks lined with buffalos, hippos, crocodiles, and elephants, and endless Ishasha plains, whose fig trees hide tree climbing lions.After lunch proceed with the trip to the park with a glance at the scenic and magnificent foot hills of Mt. Rwenzori and reach the park in the later afternoon with a simple game drive on your way to the lodge for dinner and overnight. After an early morning breakfast at 6:00 am, you will head in search for the morning hunters and grazers such as the buffalos, elephants, waterbucks, bushbucks, Uganda kobs, lions and variety of bird species that you will encounter on your game ride and later return to the lodge for lunch. After lunch you will proceed for a boat cruise along the Kazinga channel to view the water dwelling birds and animals such as the pied king fisher, African fish eagle, herons, darters to mention but a few and see animals such as buffalos, crocodiles, monitor lizards, elephants wallowing at the mad and much more. After boat cruise, you will proceed for a short game drive as you find you way back to lodge for dinner and overnight. Today you will wake up very early, have breakfast and check out of the lodge and drive towards Bwindi as you stench at the Ishasha side with a brief search for the tree climbing lions as you proceed to Bwindi with an en route lunch and reach in the late afternoon. Bwindi Impenetrable forest national Park is located in western Uganda and habits portion of the 800 world’s endangered mountain gorillas that are under threat of extinction and can only be found in Uganda and Rwanda. Your visit to the park will contribute on the income generation that is geared towards conservation programme to protect the gentle giants. Diner and overnight at the lodge. Today you will wake up with a warm tea/coffee and head for briefing at 7:30 am by the guides on the gorilla tracking procedures and you will be given knowledge on how the activity is done. During the trekking you will be subjected to one hour in contact with the gentle giants to view how they feed, what they feed on and their entire social life. Gorilla’s shares 96-99 DNA genetics with humans. After trekking you will you return to the lodge for lunch and after lunch you will opt to relax at the lodge balcony or head for a community walk to meet the native batwa – people and interact with them as you get to know their social life. Later in the evening return for dinner and overnight. Today you will have breakfast and checkout of the lodge and drive back to Kampala with the beautiful view of the Kisoro terrains and counters as we navigate along the slopes to find our way out to Kampala. You shall have lunch at Igongo cultural center with a stopover at the equator for photography and later proceed to Kampala reaching in the evening and transferred to airport to catch up with your flight. End of the 5 Days Wildlife and Gorilla Adventure Safari. This 5 Days Wildlife and Gorilla Adventure Safari package includes. 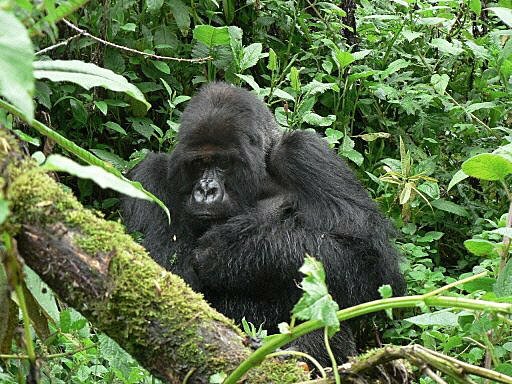 The 5 Days Wildlife and Gorilla Adventure Safari package excludes expenses of personal nature like: Air fare, Visa, drinks, laundry, tips to local guides, telephone, porter fee while trekking, personal insurance, personal shopping bills and cigars.